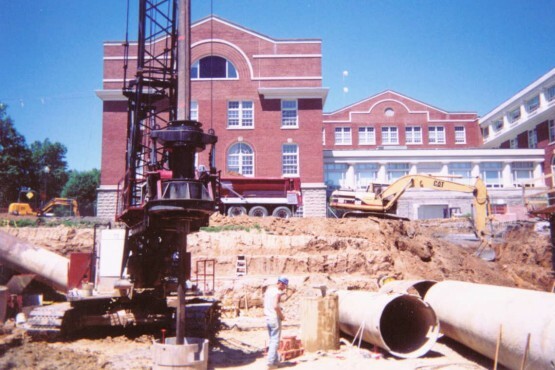 Eastern Caisson provided the foundation work for the recently constructed Breakiron Engineering Building at Bucknell University in Lewisbury, Pennsylvania. T. Ross Brothers was the construction manager on this project. 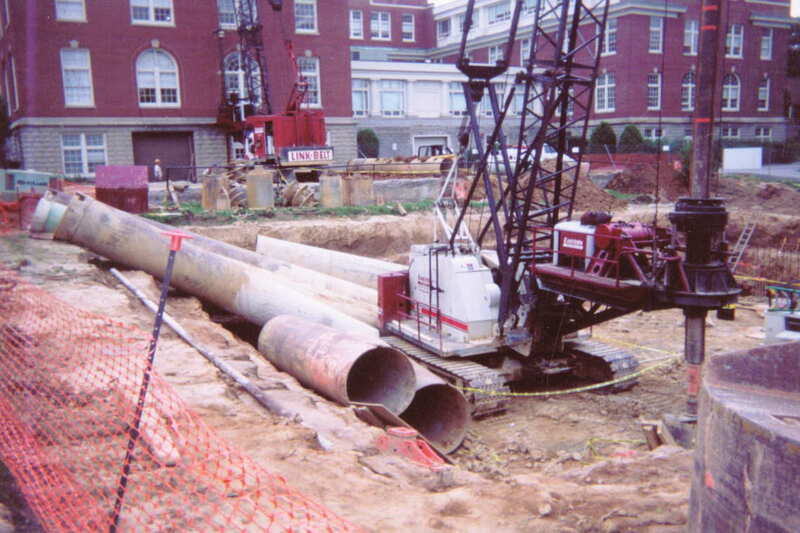 Eastern began this job planning to socket the caissons into the rock at a maximum depth of 40′, as per the soils report. Rock was encountered at the design depth but it was determined to be unsuitable for bearing. 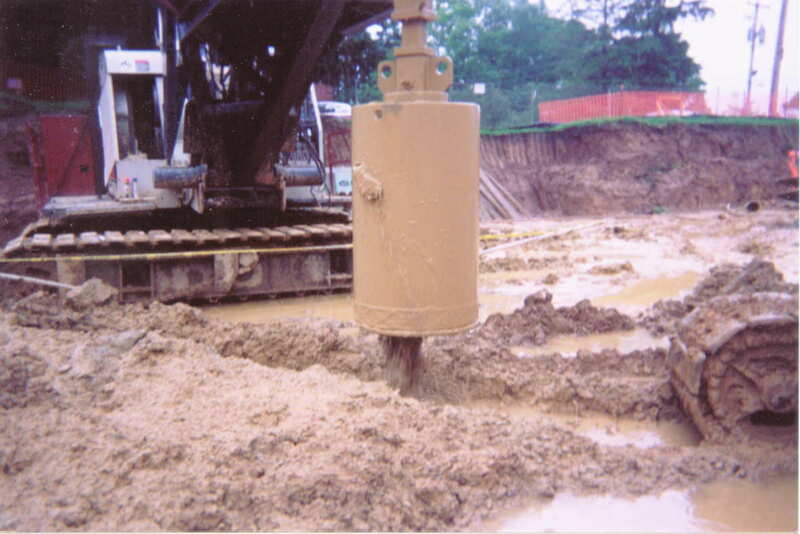 This required Eastern to drill the caissons an additional 30′ (total 70′), which required excavation below the water table. 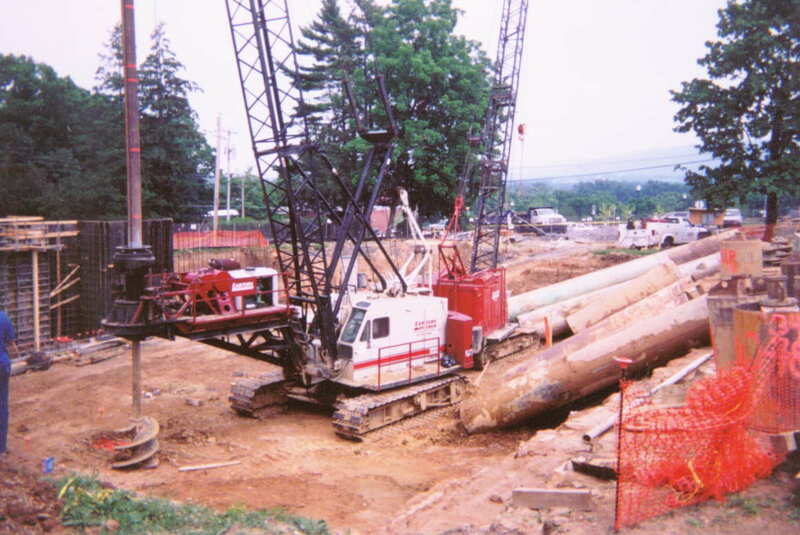 Eastern’s experienced personnel and 118 Linkbelt crane mounted with a 155 Calweld drill attachment were up to this task. Due to the limited jobsite area, trucking had to be coordinated regularly to keep 40′ long casings available as needed for the various diameters. In addition, this jobsite seemed to see rain at least every other day, which caused additional complications since finished floor elevation was in a pit of approximately 14′ below grade. The Breakiron Engineering Building certainly kept Eastern Caisson on its toes as the subsurface conditions constantly created challenges which needed to be dealt with in order to complete the foundation. Eastern takes great pride in its workmanship and final product, and had the experienced personnel and necessary equipment to successfully complete this unique project.